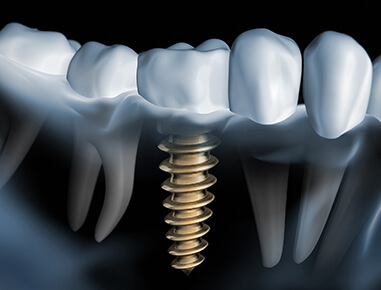 Dental implants are the new standard of tooth replacement preferred by renowned oral surgeons worldwide. These titanium implants are anchored into your jawbone to provide support to crowns or dentures. Since the implants are designed to fuse to the jawbone itself, dental implants functions like how a natural tooth root functions. They will not slip along your gumline and are custom-designed for the best possible fit and appearance. Call 407-988-2003 now to get for more information or to schedule a consultation and discuss your dental implant treatment options.